Guest or visitor, that is the question. Soft Top is made with public spaces in mind and matches all requirements such as affordability, ﬂexibility, quality and sturdiness. But yet, the design has a familiar touch that makes everyone feel right at home, even if they’re just visiting. Crest assures a fine balance between openness and seclusion. Developed to work in public environments, it offers both protection from prying eyes but also encourages conversation and interaction. The back panel is a little higher than the back cushions to achieve this effect. 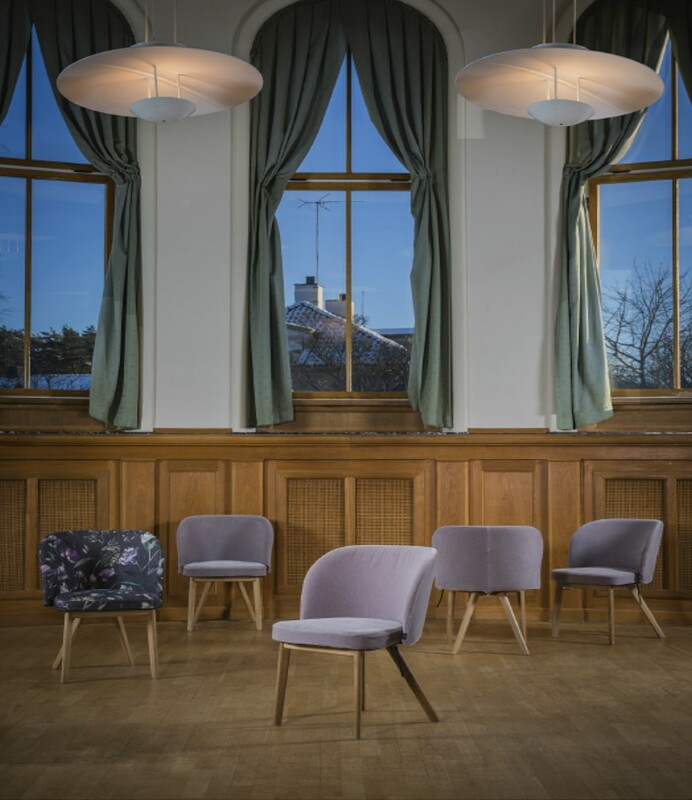 Pax is characterised by its billowing shape to ensure maximum seating comfort in a small space. The armrests fold down towards the seat just in time to make space to move your legs sideways, and the point where the back and armrests meet ensures the chair back does not interfere with your elbows. Uni is a new table range that is suitable for smaller or larger seating arrangements. Uni is available with a spoke base or T foot in different sizes, heights and finishes. The table series’ wide range makes it extremely flexible and suitable in many situations ranging from meeting rooms to cafeterias, mingle areas and lecture halls. The shape of this stool is defined by its function. The curved upholstered seat gives extra comfort and its design allows you to either sit upright or astride like on a saddle. The stool is fitted with castors for a more active and mobile way of sitting. Are you interested in our new products? Humlan (bumblebee) chair is the fourth member of the Humlan family. Just like the rest of the family, this little bumblebee has a soft and embracing shape with a good seat height. It is also ﬂexible; choose the same or different fabric for the seat and back. The fabric is removable for laundry on the seat, which is of course comfortable but above all in line with NC’s sustainability policy. 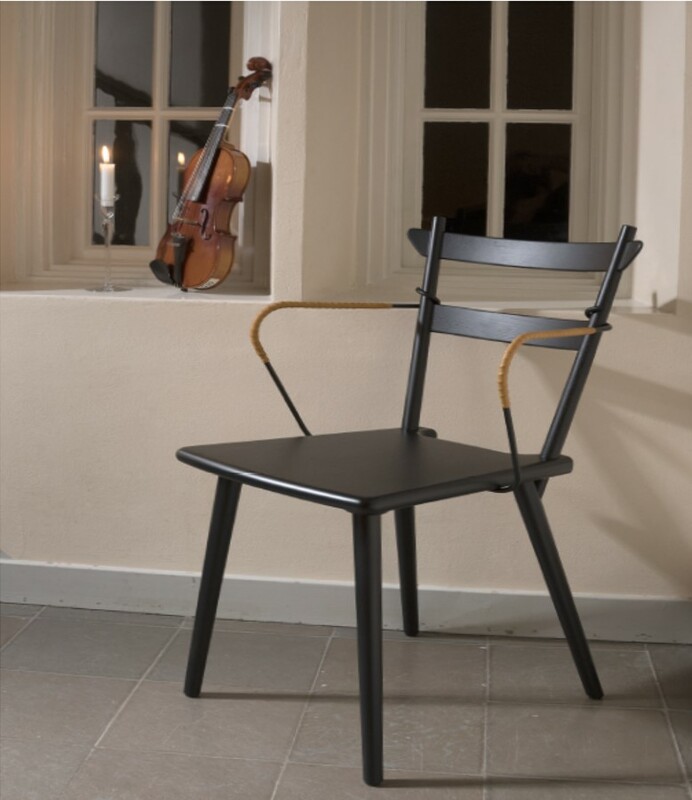 Alva frame chair is a development of the Alva chair launched last year. The chair is made of ash and features an armrest made of solid wire that playfully wraps around the backrest. The thin dimensions give the armrest a sleek and graphic expression. The sedentary lifestyle is a growing health problem. And according to research, this problem cannot be compensated solely through exercising. 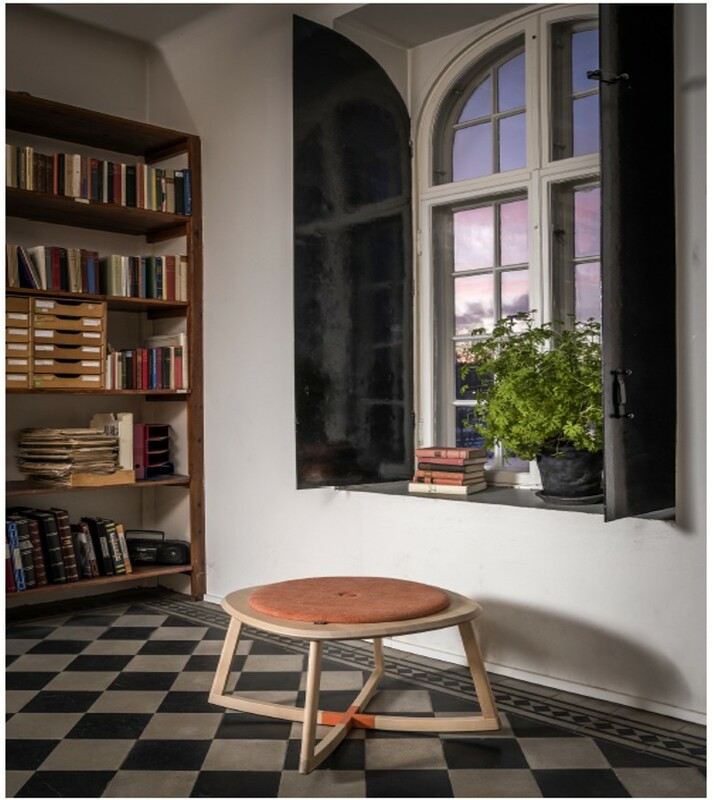 Rock On is a pallet stool that heeds the call for change and aims to make sitting more like a physical activity. The crossed rounded base of the furniture makes it possible to swing in all directions, which in turn activates the user’s core muscles. Rock On’s minimalistic design works both in private and public spaces.